Today author Mary Ball shares her thoughts on grabbing hold of God’s peace during painful times. Life is a constant roller-coaster. One day we have the world at our feet, the next day we are struggling just to stay focused. One of the most emotional journeys we take is the death of a loved one. I lost a dear friend and mentor, the senior pastor of our church. The man was one of the most loving people I have known, always there to give assistance and a kind word. During his sickness, I was sure that my spirit would break into when he passed away. To my surprise, my heart shifted. Yes, I was saddened, but I was glad that he had reached his goal. I know beyond doubt that he is with the Lord, where all Christians strive to be one day. That’s true he wasn’t my kin, nevertheless, I have suffered the loss. I know the pain of saying good-bye to a father and a daughter. We muddle through the bereavement of a parent. They had a long life and left a mark in the world, but a child is another story. I remember when my daughter died. I was shattered; my world changed. Life didn’t matter. The process of healing took a few years. During those times, I carried on, putting on a happy face. I felt it a duty to make sure my youngest daughter didn’t suffer from the animosity of my pain. Slowly, I started drawing closer to God. I paid attention to God’s word, making a point to read his promises. An acceptance settled in my heart. We all have an appointed time. Nevertheless, we forever remember our children. The purpose though, is to go on, until it’s our time to meet the Lord. Our hearts will faithfully hold their love, and memories. By going on with our lives we bring honor to them. Only with God’s peace can we learn to accept the death of a loved one. Our rest is in God. I know my daughter is in Heaven, and that’s what everyone should strive for. Bad luck seems to follow Sam Blacker. She loses her job and faces daily struggles keeping her drunken neighbor away from her. When an unexpected inheritance gives her a chance for a new beginning, Sam, a city girl at heart, is hesitant. However, after a brutal attack she has no choice. Making a decision that will forever change her life she flees to the small fishing town of Big Fork Lake, Alabama and soon finds herself in the arms of Noah Frye. A tumultuous relationship with Noah sparks buried desires of the heart, even if he is a Christian, surely, she can get around that little problem. Mary L. Ball lives in the North Carolina. She writes novels and Christian articles. Her passion is weaving together romantic tales often laced with suspense and mystery. Her books encourage people to see the magic of love, hope and a divine guidance that often lies dormant, waiting to be found by each of us. 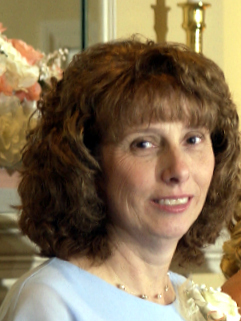 Mary is a member of American Christian Fiction Writers. 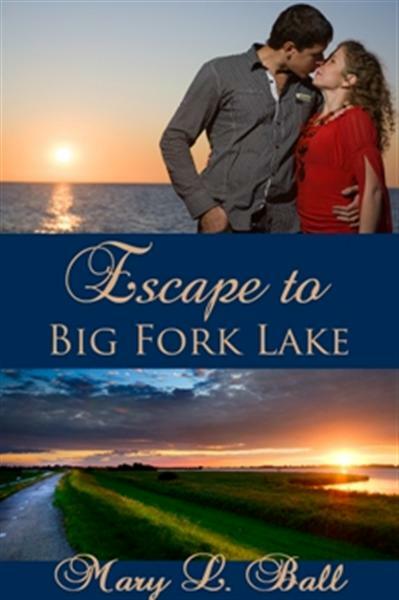 Her debut novel “Escape to Big Fork Lake” is available on Amazon.com in e-book or paperback. Faith Book Nook and Daniel’s Read-a-Lot also has the paperback. Look for her next release title “Stone of Destiny” coming soon. This entry was posted in Beauty for the Broken, Faith, God's Authors, grace and tagged death, Mary Ball, peace. Bookmark the permalink. Thanks Jennifer for having me on your lovely blog. The encouragement you offer is inspiring. Thank you for sharing your heart with us! God’s comfort and blessings to you! Finding Peace every day is something we all must learn to do, no matter the issues that come our way. I am a writer too and just penned a similar devotion this morning…I am a new contributing writer for Wise Magazine. I wrote on the theme of Life is not what it seems…being that we should never let the daily stresses of life beat us down. When life gets the best of us…we must trust in God and turn to him.. For HE is always there walking with us to pick up those fragile pieces that we see crumbling all around us. Trust in HIM and let HIS light shine in you so you can shine that same light to others THRU HIM. Amen! That sounds like an encouraging piece! My condolences, Mary, on all your losses. One never knows what someone else is going through unless they open up about it. Thank you for being candid, I’m sure your words of encouragement will help someone who needs a cyber hug today. Mary, thank you for sharing your world with us. You certainly are an encouragement to everyone. Thanks everyone. God indeed healed my heart, but as a human I will always have a crack of sadness. Nevertheless, I strive each day to see beyond-to the things in the future. Beautiful post, Mary. I agree that losing a child is a worse kind of grief. But I”m glad you pulled through and found peace.